When you’ve come to the point in time where you realize you need a little extra help with mom or dad or another loved one that requires more supervision and oversight than you can provide, it’s time to evaluate and make a decision about contracting with a home health care agency. OptimumCare Home Care Services wants consumers to be aware of some of the most important questions to ask when you’re looking for a home care agency. Some of these questions may seem obvious, others not so much. What kind of services does the home health care agency provide? This is a question that involves the type of people involved in home-based care, and can include therapists, social workers, home health care aides, companions, physicians, nurses, and even non-professional homemakers. Know exactly what the agency provides in regard to services and what they do not. 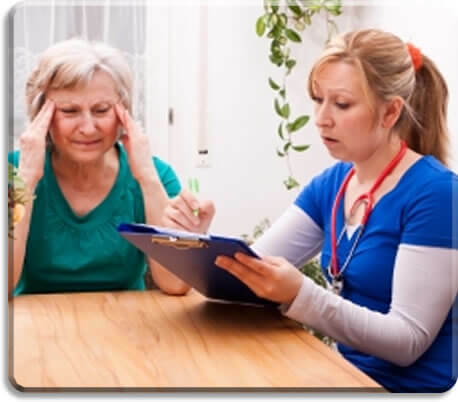 How does the home health care agency determine the needs of my loved one? Not all home health care agencies are the same. OptimumCare Home Care Services performs an in-home evaluation to determine specific needs. Often, we consult with doctors involved in the plan of care to ensure that services match the needs of the care recipient. Is someone available 24/7? Is someone going to be available at any time of the day or night if I need help for mom or dad or a loved one? If one caregiver cancels or doesn’t show up, is a backup provided? This is an important question, and the agency needs to get this in writing. Continuity of care issues. Many care recipients and their families want to know if the same person will consistently care for a loved one or if the caregivers will change on a regular basis. OptimumCare Home Care Services prefers that one caregiver provide regular care for the care recipient so a bond is formed between the two. However, backups are always ready. Changing care recipients too often leads to confusion, uncertainty, and can upset the care recipient. While I have any say in regard to the plan of care? When it comes to our agency, absolutely! You know your loved one better than anyone else, so we rely on you to provide information. If you have any concerns or complaints, we encourage our care recipients and family members to let us know immediately so that we can resolve them quickly and efficiently. Remember that not all home-based agencies are the same. Some are licensed, insured, and bonded by the state and others are not. For more information on our services, give us a call today.